Today what matters is not your budget, but your system. Systems always win! In order to defeat competition and hack your marketing and sales growth, you need to carefully plan, setup and execute a multi-loop-based, results oriented marketing system. I can help you with that. 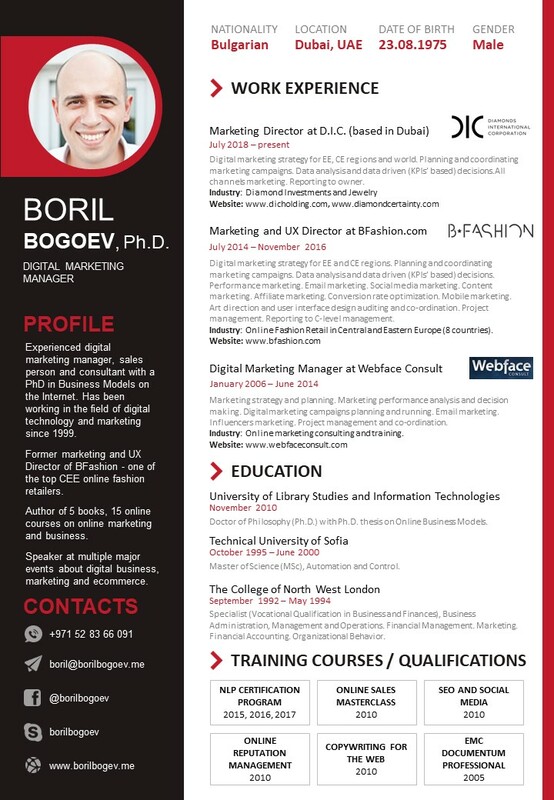 Boril Bogoev is a consultant, speaker and online entrepreneur with a Ph.D. in Business Models on the Internet. He has been working in the field of digital technology and marketing since 1999 and has spent the last 16 years focusing on internet marketing and sales, consulting, affiliate marketing, blogging, web design, writing and copywriting. Boril is creator of many online courses focused on productivity, marketing and sales, including “Building a Personal Brand and Reputation”, “Total Optimization for Sales”, “Email Marketing for Beginners”, “Introduction to E-commerce”, “The Profiable Website”, “Jump Start in Internet Marketing”, “Ten Habits for Top Productivity”, “Email Marketing Best Practices”, “Affiliate Profits”, “Anatomy of Traffic”, “Business Platform for Success”, “Personal Brand and Reputation Online”. Boril Bogoev is a well known speaker with appearances on some of the top marketing and business events like Eventex, Zero Marketing seminars, Social Me Workshop editions, Rotaract club meetings, K2Web Conference, E-Manager Seminars, Travel Academy. 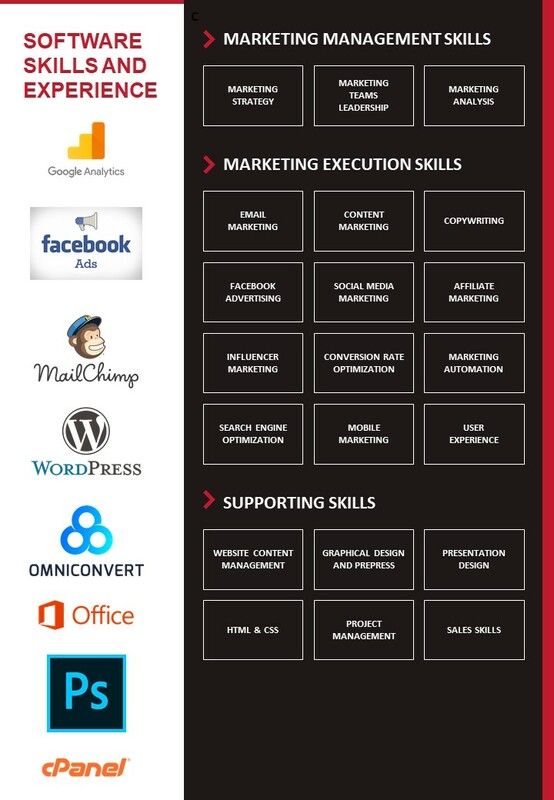 He has conducted numerous online marketing, sales and customer service trainings with brands from various industries. Before execution, the winning system has to be planned and communicated to the team. In 21-st century decent growth is not enough. You need it to be exponential. Your marketing can scale big if you let it to. Your marketing team can be a war machine that smashes competition and pulls a fortune for your business. One of the most effective marketing channels can be even more profitable with a working strategy and tactics. Multi-loop marketing for all channels and generating profit out of optimization and automation.